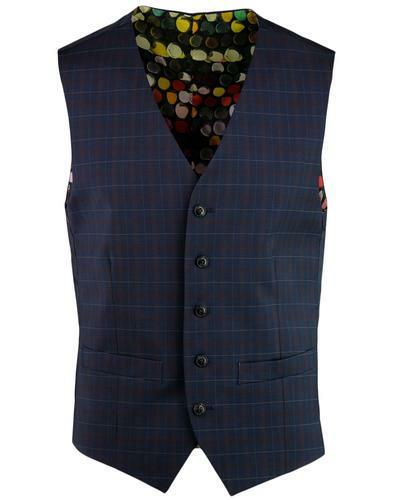 Gibson London men's 1960s mod oversize check pattern waistcoat in navy/brown. 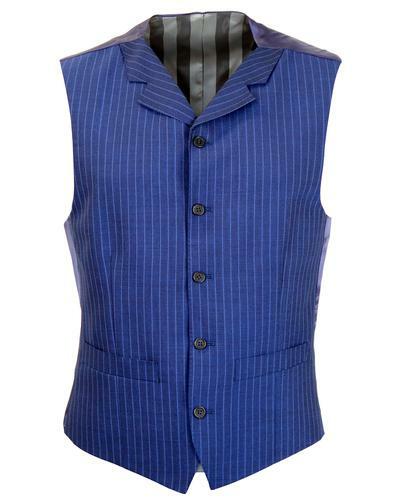 High fasten tailored mod waistcoat with retro notch lapel. 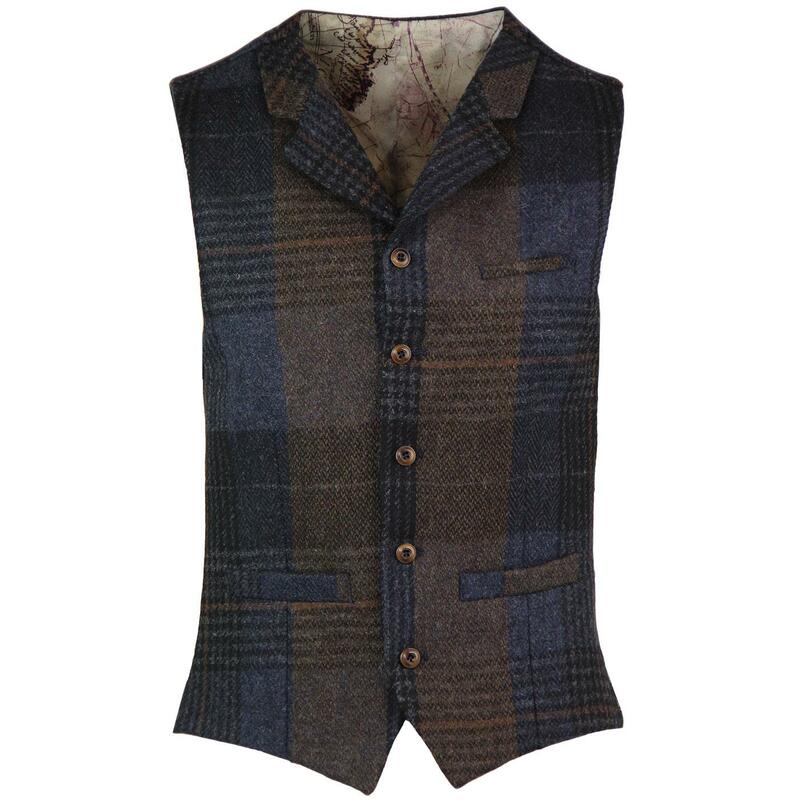 Traditional country heritage vintage vibes and a neat mod cut make this Gibson London waistcoat a real statement piece. 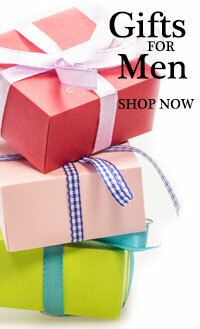 The oversize/large check fabric in textured navy and brown creates an awesome retro look. 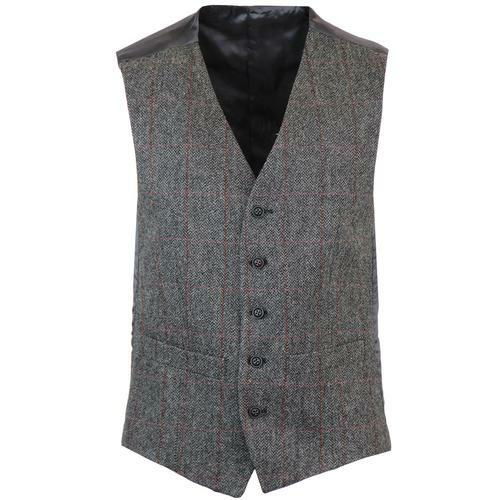 With it's fantastic retro autumnal style, the waistcoat is finished with side pockets, left side breast pocket and travel themed interior lining. The sateen back panel with tab adjuster are typical of the classic tailored waistcoat silhouette. 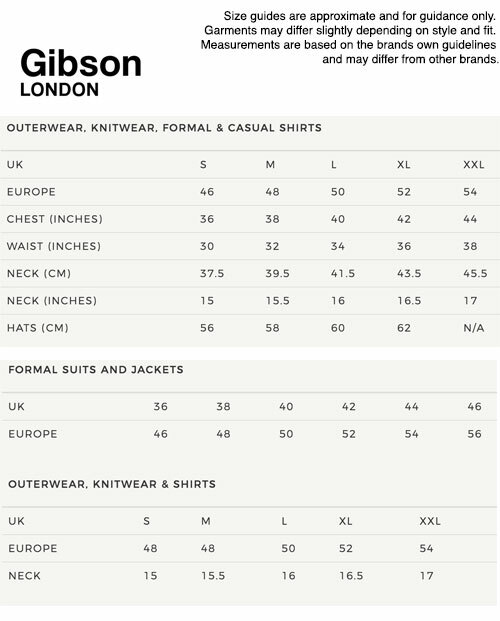 Team with the matching Gibson London mod oversize check 'Grouse' blazer for a refined and sophisticated tailored ensemble. Gibson London men's 1960s mod oversize check waistcoat in navy/brown. 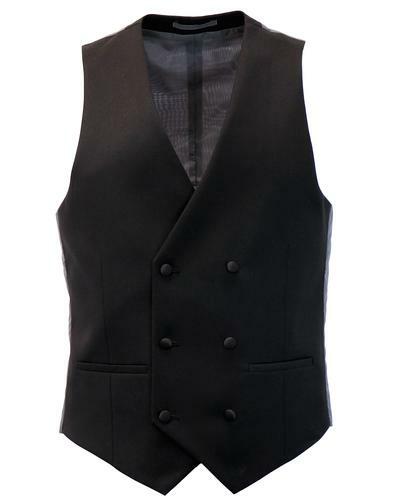 SKU: G18223TB Oversize Check Waistcoat.